The love of my life – my wife, Linda Maniscalco - has been chronically ill with a complicated case of Diffuse Non-Hodgkins Large B cell Lymphoma along with Chronic Disseminated Lyme Disease . We have two beautiful daughters – Gabby, age 10 and Katrina, age 16. These diseases have wreaked havoc on our whole family - physically, emotionally and financially. The horrible symptoms and chemo have left Linda a mere shell of the mom and wife that she used to be. I have had to make taking care of Linda and our daughters my priority and full-time job, draining our savings between the extraordinary medical expenses and daily living expenses. Linda needs immediate treatment by specialists to prevent her health from deteriorating further and to help her stay alive. We need help for Linda’s medical bills that are not covered by insurance. We are so grateful for your prayers for Linda’s full recovery, blessings for our children and Linda and me, and for any support that you can give us. Thank you, and may you be blessed with peace and good health. 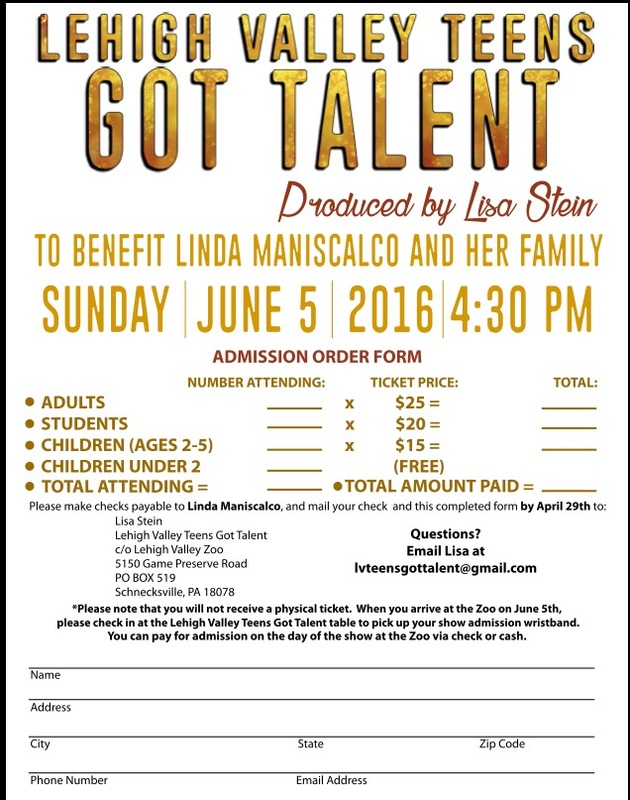 These donations and the proceeds from June's fundraiser, "Lehigh Valley Teens Got Talent, " have enabled Linda to get treatment up at the Stram Center in Albany, NY for the past 5 months. It is helping Linda, and she is feeling more optimistic now, too. However, she still needs Lyme treatments for at least a couple of years, probably more. Thank you to everyone who has donated! Please share this, and keep Linda and her family in your prayers. Wishing you all a healthful, safe, and peaceful 2017 filled with bliss. Linda had a medical consultation over the summer with Dr. Heidi Puc, a Lyme Literate Oncologist in upstate New York, who is confident that she can help Linda. Linda has been waiting to begin treatment until her family has enough money to be able to afford the several months of treatment that she needs. However, her health has been quickly deteriorating recently - especially her eyesight - so she cannot afford to wait any longer. Linda is scheduled to begin treatment at the Stram Center in Delmar, New York on Monday, September 19 with Dr. Puc. The Maniscalcos have enough money for a month of treatment, but they will need approximately $6,000 per month to pay for medical costs plus additional living costs. It is hard to know exactly how many months of treatment Linda will need to get better at this point because the doctor cannot predict how Linda's body will respond. Almost all of this Chronic Lyme treatment is not covered by Linda’s Medicare Disability insurance. This lack of insurance coverage is a big issue for thousands of people who are experiencing symptoms of Chronic Lyme Disease. As Linda will have to have IV treatments on most days of the week, the family has to relocate to upstate New York for at least a couple of months - and it could be many more. 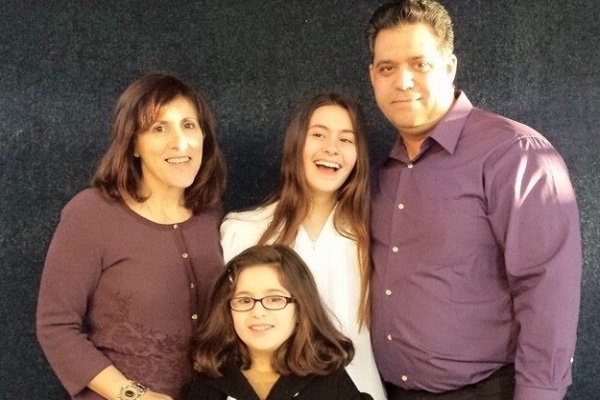 Their oldest daughter will attend a local high school there, and their younger daughter will try to keep up with her school work with the help of her parents. A Ronald McDonald House near the Stram Center is able to take them in at no charge until a child with cancer needs the room; then, they will have to move to a small apartment nearby and pay rent. It is stressful for them that they still do not have enough money to pay for the months of treatment that Linda needs and the attendant costs of living away from home. Friends are thinking of creative ways to raise money, like the teen talent show in June, which raised $8,000. But more donations through this GoFundMe page help a lot, too. So, PLEASE DONATE any amount, and PLEASE SHARE. Thank you! Please don't forget to Hash tag "The Ellen Show"
Send in your Admission Order Form and check today. From what I'm hearing, this show is going to be amazing! And we can spend all or part of the day at the Lehigh Valley Zoo, too, included in the price of admission to the show! Let's go and support Linda! Wishing you a full recovery! Hope this helps! Wishing the best for Linda - hope she gets through this trying time.